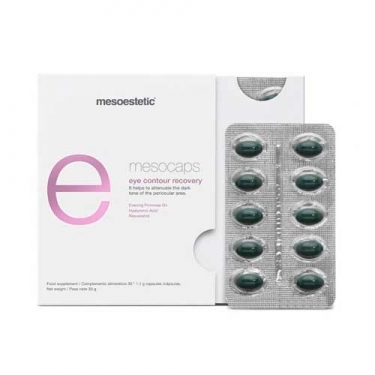 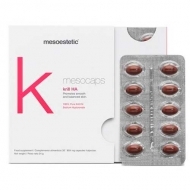 DESCRIPTION: Mesocaps Eye Contour Recovery from Mesostetic are capsules for people prone to have dark circles or who want to prevent their appearance, people who have bags in the eye area and want to improve the circulation of the area and decrease the appearance and people with tired faces. 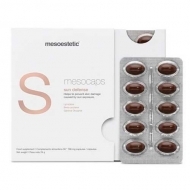 Improves microcirculation and improves lymphatic drainage by preventing haemoglobin degradation. 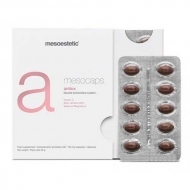 The combination of GLA and iron bisglycinate, promotes tissue oxygenation and reduces signs of fatigue. 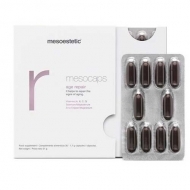 Thanks to the extraordinary level of purity of resveratrol and its concentration, one of the highest in the market; the venotonic action is improved, improving the peripheral microcirculation, avoiding the coloration of the dark circles.